If you're familiar with the un-sugarcoated version American history, then you'll know why Columbus Day has long been a controversial holiday. The short version: After Columbus and his crew of early settlers landed in what is now the Bahamas, they proceeded to enslave and kill the natives and appropriate their land. Which is essentially what Americans have been celebrating on the second Monday of every October. But some are refusing to commemorate this legacy, and on Monday several U.S. cities turned Columbus Day into Indigenous People's Day, which honors the contributions and history of Native Americans instead. But Christopher Columbus landed more than 500 years ago, and Columbus Day has been celebrated widely for decades. So why are some cities only now making adjustments to the questionable holiday? In short, the increasingly widespread feeling that the American government created a false, positive narrative of Columbus as a way to downplay its ongoing mistreatment of Native Americans. Children have long been taught in social studies class that Columbus was a hero who "discovered" America, ignoring the fact that America was already inhabited by a peaceful people. The narrative also ignores Columbus' true character, which some historians have called worse than Saddam Hussein. Over the years, some U.S. cities have reinvented Columbus Day as a celebration of the indigenous peoples whose heritage and land Columbus appropriated. Here's how some of them celebrate the second Monday in October. Berkeley, California is believed to be the first city to change Columbus Day into Indigenous People's Day, celebrating the alternative holiday for the first time in 1992. For the occasion, the city organizes an all-day festival featuring Native American performances, arts and crafts, and food. It’s a validation and a correction of a historical wrong that has perpetuated a negative image of American Indian people, by celebrating somebody that has really been nothing but bad for American Indian people and indigenous people across this continent. Following Minneapolis' lead, Seattle also voted to turn Columbus Day into Indigenous People's Day this summer. Seattle city council member Kshama Sawant told the Seattle Times that the change-up was about "taking a stand against racism and discrimination." The celebrations will include citizens from the Lummi, Nooksack, Tulalip, Sauk-Suiattle, Swinomish, Puyallup, Colville, and other Washington tribes. Even before Berkeley started celebrating Indigenous People's Day, the entire state of South Dakota unanimously passed legislation that changed Columbus Day to Native American Day in 1990. The legislation was proposed by Republican governor of South Dakota George S. Mickelson in an effort to mark the "Year of Reconciliation" between Native Americans and non-natives. Native American Day is celebrated by raising awareness of Native American heritage and promoting unity between the native and non-native cultures. 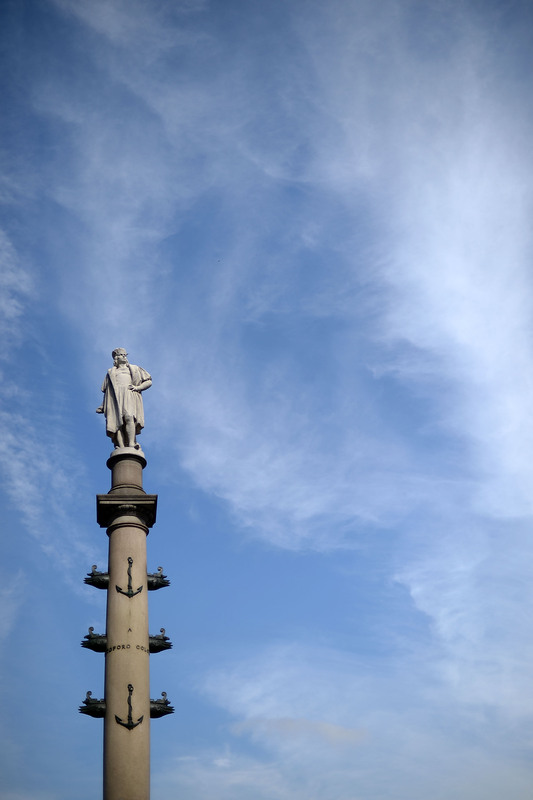 Despite the humane reasons for tweaking Columbus Day, Italian-Americans, who have long exalted Columbus as a figure of cultural pride, are offended by the move, seeing it as invalidating of their own heritage. Council members in Seattle have suggested that Italian-Americans should look to other figures of Italian descent as role models.